OK! I’ll admit it, I’ve never been to Texas Land & Cattle. Have I driven by 1Billion times? Yes. Have I always told myself I needed to stop in? Yep. Well, all that changed last week when I finally stepped foot into the iconic Uptown location. Not only did a big painted cow out front greet me but so did a surprisingly great meal. Packed with a working lunch crowd, I realized that Texas Land & Cattle’s menu doesn’t just offer steak (um, duh) but all sorts of options, even an ahi tower situation. 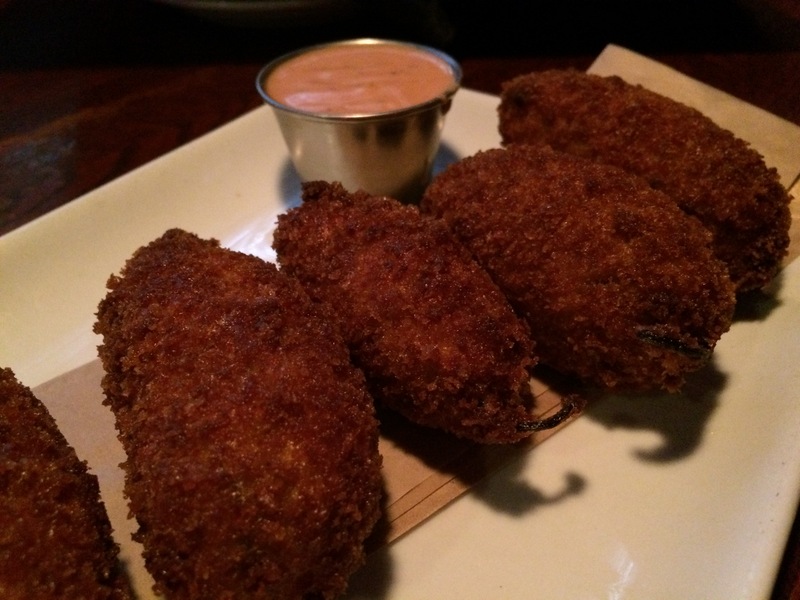 I decided to start with the brisket stuffed fried jalapeños. Nothing in that description sounds like a bad idea.. and it wasn’t! Fried balls of goodness awaited me at each bite. For lunch I decided to get something that sounded so good…so decadent…so mind blowing.. I chose the Son of a Biscuit Chicken Sandwich. 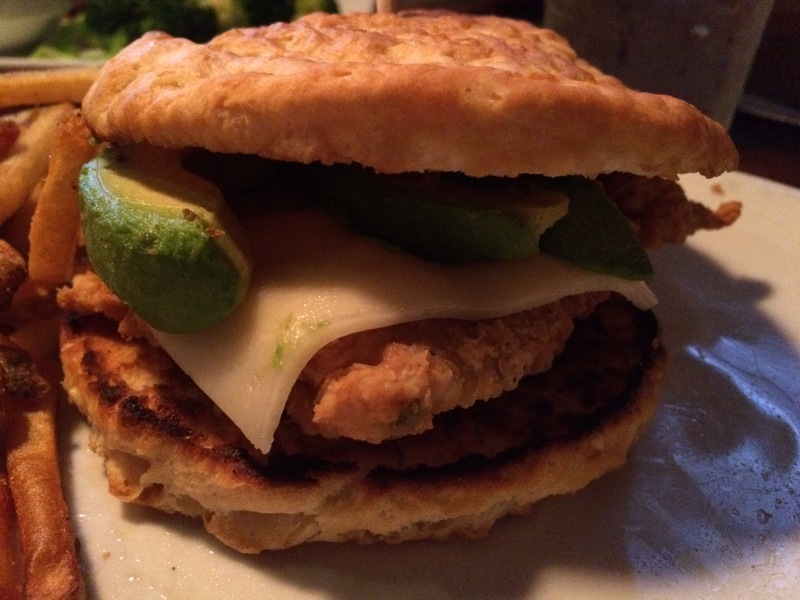 Fried chicken breast topped with avocado, jack cheese, honey ancho glaze and bacon all sandwiched between a fresh buttermilk biscuit. WHAT THE F!? It was so good, I literally blacked out. 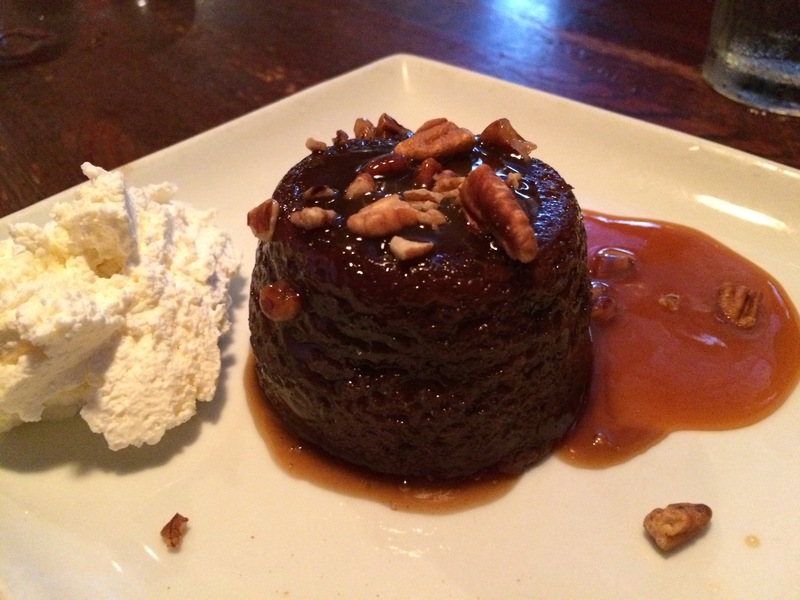 Of course, no meal is complete without dessert so we dove into the Sticky Toffee Pudding. Warm cake topped with sweet sauce, this dessert was indulgent enough without feeling completely guilty. The perfect ending to a great meal! With so many restaurants popping up each day in Dallas, it is hard to focus on the staples in town and now that I’ve been in, I can say – I will DEFINITELY be back!